Let me know when Godzilla actually shows up and then I’ll send them some money, till then I’ll waste it on luxuries like groceries and rent. 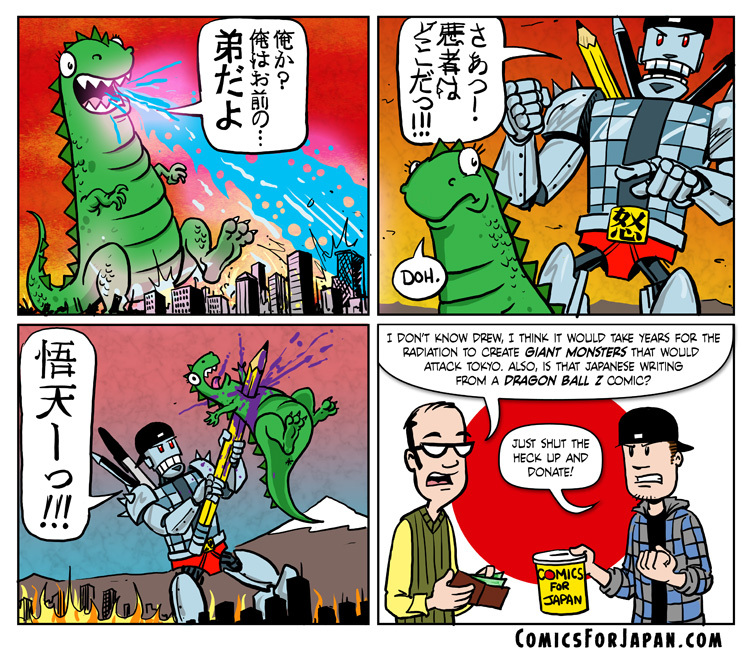 Godzilla bleeds purple? I never knew that! Must be a mistake, everyone knows purple is a flavor.